Considering what may happen after we are gone is not a pleasant thought. But, as the saying goes, death and taxes are unavoidable. In both cases, planning ahead can save time, trouble and money. While estate planning can be extremely complex, getting started with the basic components is not too difficult and is the extent of estate planning required for a large percentage of people. By planning ahead, you will make a difficult time easier on those left behind as well as potentially saving thousands in attorney fees and court costs. The most common and basic estate planning vehicles are wills and living trusts. Everybody should have a will or a living trust, but which one? The rule of thumb I use with my clients is if you have any significant assets that cannot have a named beneficiary, such as real estate, you should probably have a living trust. Some people believe they can get around having a living trust by adding their beneficiaries to the title. While this works, providing the titling is appropriate, you give up a very important tax benefit – the step-up in basis. This tax benefit can eliminate some or all of the tax that would otherwise be due on the sale of the property. For this reason, owning any real estate is a good reason to have a living trust. The same applies to stock and other securities held outside of a retirement account. Retirement accounts can have named beneficiaries, making living trusts less necessary in those cases. If you conclude a living trust would be a good idea, how do you go about setting it up? As with most things, there are different options available, with different costs and levels of service. There are legal services, both online and in person, that can produce basic trusts for minimal cost. These services are not attorneys and cannot provide any advice or guidance. You can expect to pay $250-$750 for this type of service. 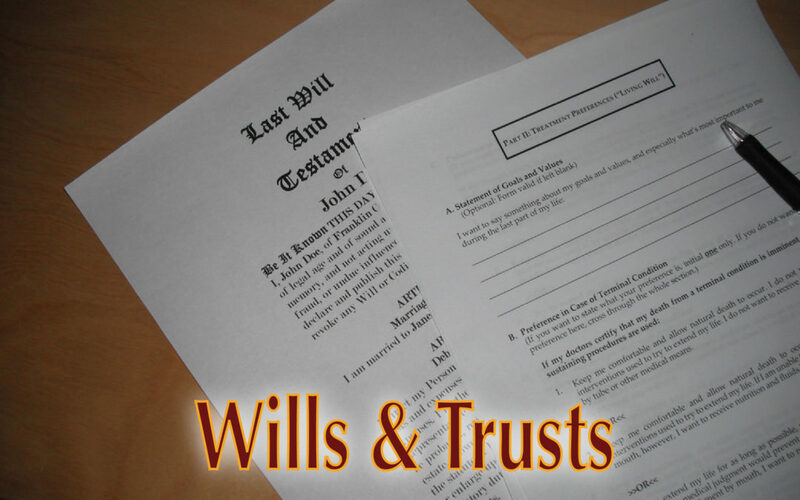 At the other end of the spectrum are estate attorneys that can develop a trust customized for you and your situation. When you work with an attorney, not only can be you be more comfortable that everything was addressed and done right, you have a relationship with somebody who can answer questions and provide services in the future. If you do not need or wish to have a trust, you should have a will at a minimum. There are many ways to go about creating a will. California law provides for a “fill-in-the-blank” will. You can find the form and information here. A little planning and forethought today can save your loved ones considerable grief and expense. You should always consider speaking to a qualified estate tax attorney if you have questions or concerns.